In May, 9 liter spirits case sales grew by 8 percent in control states compared to May 2018. Spirits volume grew 3.8 percent compared to 2 percent a year ago. Many states had a strong month, exceeding their 12 month trends, including: Iowa, Idaho, Michigan, Mississippi, Montana, North Carolina, Ohio, Oregon, Utah, Virginia, Vermont, West Virginia and Wyoming. The Price/Mix for May was 2.4 percent, which remained flat from April’s 2.5 percent. 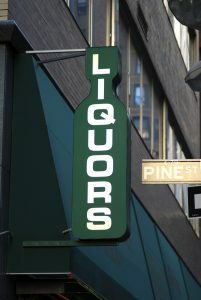 Control State spirits shelf dollars were up a robust 10.4 percent during May while trending at 5.8 percent during the past 12 months. Cocktails, with 2 percent share of the control states spirits market showed the largest growth, up 19.2 percent fueled by brisk sales of low-proof cocktail mixers in Michigan and Iowa. Vodka with 35 percent market share grew 8.4 percent and Irish Whiskey led brown spirits with 14.3 percent growth.